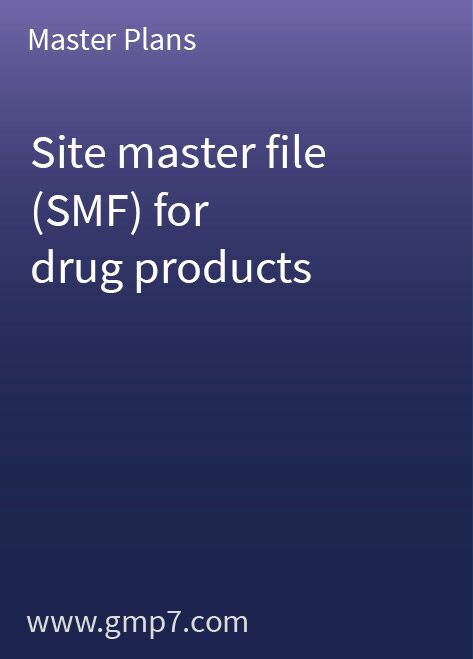 The drug product SITE MASTER FILE (SMF) is the site’s most important GMP document and provides a general overview of the site and its operations. On 5 November 2002, the guidelines for the preparation of a SITE MASTER FILE (first edition, April 2000) were replaced by the PIC/S explanatory notes for industry on the preparation of a site master file, 1 November 2002. This SITE MASTER FILE has been created in line with current industry standards and is based on guidance from both the European Commission Directorate General III – “Industry” Harmonisation of Inspections in the EU and PIC recommendations. Running to over 30 pages, this SITE MASTER FILE template only needs a small amount of site-specific modification before it can be adopted for your operations. All you need to do is enter your site-specific information in the coloured fields that are marked. It covers the pharmaceutical production facility, which incorporates a wide variety of manufacturing technologies. The SMF template includes all necessary information for the manufacturing of tablets, coated tablets, capsules, ointments, creams, gels, suppositories, suspensions, syrups, inhalers, ampoules, vials and syringes.